Before we can fully realize the uniqueness of this Covenant, we must first review the Abrahamic Covenant. From these seven “I Wills” flows God’s entire plan for all of mankind. All other covenants between God and man are build on this one. For example, items 5 & 6 are the basis for the “Sheep and Goat Judgment” of the nations in the valley of Jehoshaphat at the end of the Great Tribulation, which closes the “times of the Gentiles” (Matthew 25:31-46). God also foreknew Satan’s anti-Semitism, and history is patterned after Satan attempting to bring about this reality (Zechariah 2:8). The Abrahamic Covenant was affirmed to Abraham’s progeny, Isaac, Jacob, and his twelve sons. God through, the prophet Jeremiah, said that there would be a time when He would make a New Covenant with the nation of Israel. “ ‘The day will come,’ says the Lord, “when I will make a new covenant with the people of Israel and Judah . . . . But this is the new covenant I will make with the people of Israel on that day,” says the Lord. I will put my law in their minds, and I will write them on their hearts. I will be their God, and they will be my people” (Jeremiah 31:31; 33). Although God had been faithful in keeping His terms of the conditional Mosaic Law (also called the Mosaic Covenant), Israel had not been faithful to uphold their part of the covenant, thus resulting in Israel breaking the Mosaic Covenant. While the Mosaic Covenant described the standard of righteousness, which the Mosaic Law demanded, God did not provide the power to the people to keep it. But that problem will be rectified in the New Covenant as stated in verse 33 above through regeneration of the people’s heart, and this will provide the internal power necessary to meet and keep the righteous standards of God. 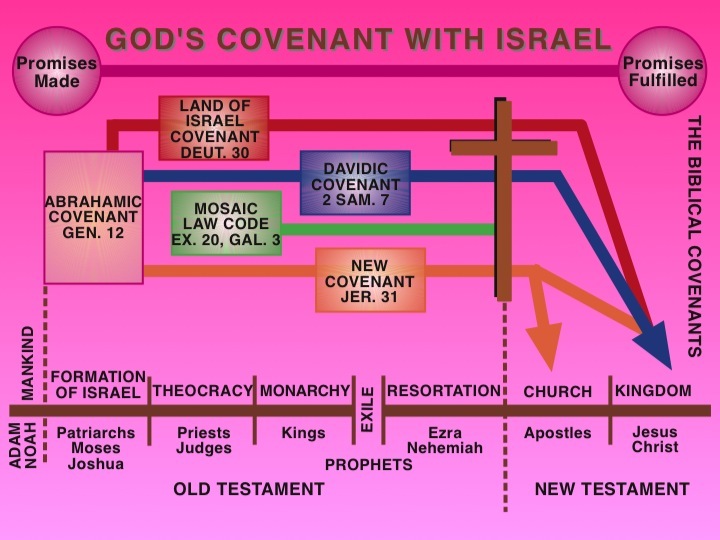 The result of the New Covenant will be a total national regeneration of Israel, as described in verse 34 with the New Covenant in their hearts, “they shall teach no more every man his neighbor, and every man his brother, saying, Know Jehovah; for they shall all know me, from the least of them unto the greatest of them.” This will not happen until the end of the Great Tribulation when the remaining Jews all become believers in Jesus the Messiah. So, one of the reasons for establishing the Church is to make the Jews jealous so that they will want what the Church has, and that will lead them to belief in their Messiah. Since the Church had not yet been formed, He was speaking to His apostles, who were Jews, at the last supper. This is My blood of the new covenant (Matthew 26:28; Mark 14:24). 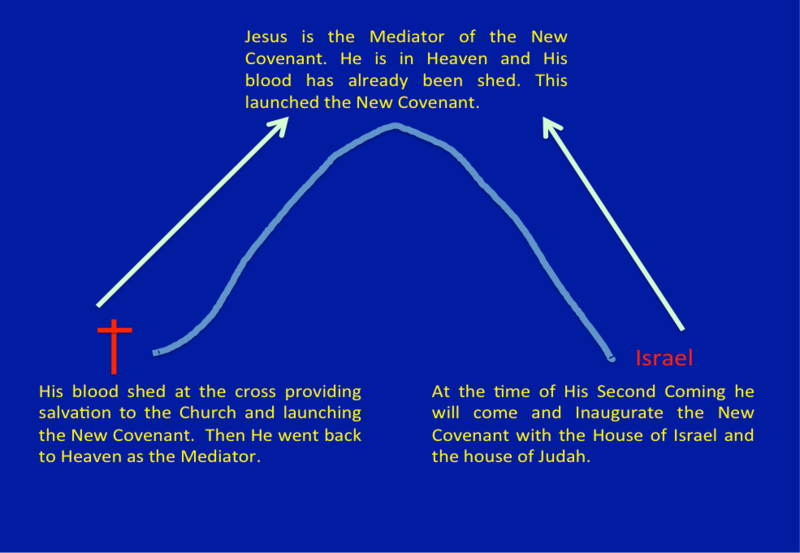 The blood of the New Covenant is not itself the New Covenant, nor is the New Covenant His blood. What Scripture teaches on this matter is to recognize that the Old Testament promise of the New Covenant contained both spiritual and material benefits. The Church indeed is enjoying the spiritual benefits, such as salvation and the indwelling of the Holy Spirit, but the Church is not experiencing the material benefits, which remain unfulfilled. The material benefits will remain unfulfilled until the entire nation of Israel is regenerated at the Second Coming of Jesus Christ, which ends the Great Tribulation. At that time, the New Covenant will be inaugurated to provide both its spiritual and physical benefits to all believers in Christ, and these benefits will continue throughout the Messianic Kingdom (Romans 15:27). The New Testament does not violate Old Testament statements when it includes more than was revealed in the Old Testament. The New Covenant, prophesied in the Old Testament was made with the two segments of Israel that it had divided itself into, that is, the Northern Kingdom of Israel, and the Southern Kingdom of Judah. The Church, though not a formal partner of the New Covenant, participates in the New Covenant both as a subject of living a new life based on redemption in Christ, and as a recipient of God’s promises to Abraham in the Abrahamic Covenant. The promise that effects the Church has come through the Seed of Abraham who is Jesus Christ, as first presented as the seventh “I Will” of the Abrahamic Covenant. The Church does not “fulfill” the New Covenant, that is strictly for the Nation Israel in the future Messianic Kingdom. One way to illustrate the Church’s participation in the New Covenant is to view the New Covenant as an airplane that takes off. 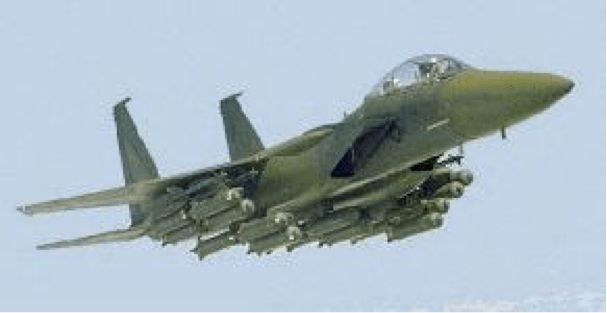 Let’s view the plane as the Covenant and its load of missiles as the Church. The Church (Missiles) gets dropped off in the Church Age and the plane (New Covenant) continues on until it lands in the Messianic Kingdom.